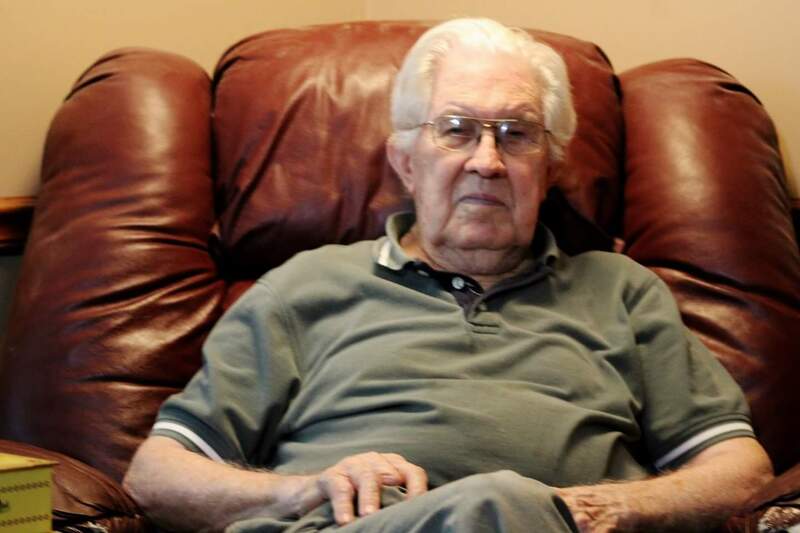 Rayford Stone, 91, passed away Thursday, January 16, 2019 at his home in Southaven, Mississippi. Visitation will be held Thursday, January 24, 2019 from 12:00 P.M. until 2:00 P.M. funeral services will follow immediately after, at Twin Oaks Memorial Gardens & Funeral Home. Interment will be in Twin Oaks Memorial Gardens. Mr. Stone was preceded in death by his wife Ilene Stone, his daughter Jean Weaver, and two grandchildren; Wendy Weaver Patrick, and Joshua Raggett. Survivors include his daughters; Gwen Crofts (Randy), Denise Redding (Keith), and Cheryl Stone, son-in-law; Gary Weaver, six grandchildren; Shauna Brewer, Gary Ray Weaver, Wesley Redding, Terry Len Goin, Anthony Goin, and Justin Raggett, and eight great-grandchildren. I am so sorry for your loss. He was such a nice, kind man. Praying for all the family that God will comfort you. I am so sorry for your loss. Keeping all of you in my prayers! Mr. Rayford was so kind and compassionate. I will remember him by the sweet smile that he always wore! He will be truly missed! Praying for God to bring comfort in your time of sorrow. Im sorry for your loss. So sorry to hear of Rayford’s passing. He was truly like a grandfather to my boys. He was a good man and I will remember him every time I look at my curio cabinet. May God’s strength be your help during the days ahead. Love you all. I’m so sorry for the loss of your father, my thoughts and prayers are for you and your family. May God wrap his arms around your family for comfort. I’m so sorry for your loss. May you seek God and find great comfort in Him and each other in this time of mourning. So sorry about Mr Rayford. May you find comfort, peace and hope in the grace of our Lord Jesus at this time.